This is a great tie. 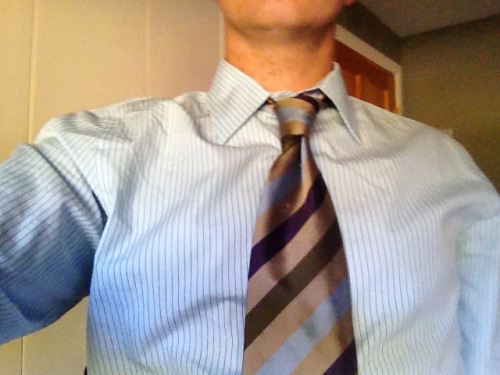 Goes with a light blue shirt, a brown shirt, off white …purple (not that I have a purple dress shirt, but if I did …this tie would go with it). It’s a little shiny, and that really makes it “pop” in pictures with a flash. Ahem …my photo technique doesn’t do it justice above. Another thing I do? I write about TV. You knew that, right? Yes …I founded spunkybean and I write about American Idol, Bachelor, Bachelorette, Bachelor Pad, and now …this season …I’ll be writing about Survivor and The Amazing Race. So, before Survivor: Philippines premiers tomorrow night, let’s meet the cast, shall we? Here’s a quick fun fact …Lisa Welchel, who played Blair Warner on The Facts of Life, is on the show. She’s probably only there to wave her Bible at us, but that’s cool. Why not? I hope you read it and check back all season and chat about the show.